Head over to your nearest Rite Aid to score FREE Revlon Beauty Tools! They have many Revlon Beauty Tool priced under $2.00! 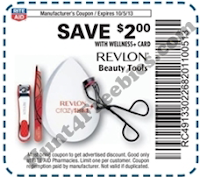 Plus there is a $2.00 off Revlon Beauty Tools coupon in their ad this week making them FREE!